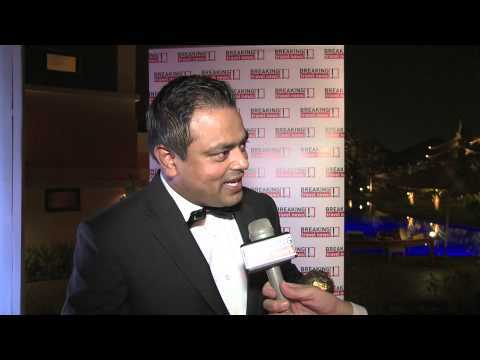 Francis Gomes, Assistant Financial Controller, The Westin Dhaka talks to Breaking Travel News at World Travel Awards Asia & Australasia Gala Ceremony hosted at the Anantara Dubai The Palm Resort & Spa on 1st October 2013. Westin Hotels & Resorts is once again changing the game in the travel industry by becoming the first hotel brand to bring its signature sleep experience from the hotel room to the home and now to the skies. Westin is celebrating the debut of Westin Heavenly(R) bedding, designed and manufactured exclusively for Delta, in all of the airline’s BusinessElite(R) cabins throughout the world. Westin Hotels & Resorts announces the appointment of Fred Smits as General Manager of The Westin Dublin. Fred joins The Westin Dublin from the Sheraton Amsterdam Airport Hotel & Conference Center where he was Executive Assistant Manager. Accelerating portfolio growth in dynamic markets across the globe, Starwood Hotels has introduced its Westin brand to Sacramento, California. The 100-room Westin Sacramento has opened its doors following a $3.2 million renovation. The Westin Chennai Velachery has opened its doors in the fast growing business district of Chennai in the Southern part of India. The hotel is the sixth Westin hotel in India and the first out of seven new Westin hotels expected to open in 2013 across Asia Pacific. Owned by Urban Commons/Brighton Management, the 100-room property formerly known as Le Rivage Hotel will undergo a $3.2 million renovation prior to re-opening under the Westin flag. Starwood Hotels & Resorts Worldwide, Inc. and Host Hotels & Resorts, Inc. announce the grand opening of The Westin New York Grand Central. The new hotel opens in the former New York Helmsley Hotel after the completion of a $75 million renovation. Starwood Hotels & Resorts Worldwide has announced the debut of The Westin Abu Dhabi Golf Resort & Spa which marks the launch of the Westin brand in the emirate. Starwood Hotels & Resorts has launched The Westin Abu Dhabi Golf Resort & Spa. Owned by the Tourism Development & Investment Company – the leading developer of cultural, residential and tourism destinations in Abu Dhabi – the property is the first in the emirate. The Crowne Plaza Cleveland City Centre will close in November and reopen as the four-star Westin Cleveland in July 2013.